In trade school, you typically only focus on learning the skills you’ll use on the job without taking irrelevant general education courses that you would in a university or community college. This means you can finish a program like electrician training in shorter time. A benefit of trade school programs is that experts in the field often teach them. Not only can they impart technical instruction but also years of valuable experience and insight into the industry. 4 In fact, career and technical education teachers must have work experience in the subject they teach. 5 At a trade school, your instructor might even help you gain practical work experience through connections. 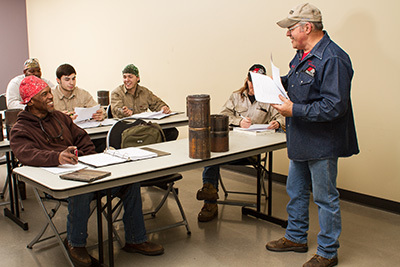 If large lecture halls aren’t for you, then you may want to consider trade school. Class sizes tend to be smaller than at universities. With fewer students to teach, instructors often have more time to offer individualized attention. Trade school programs are designed to offer hands-on learning in a specific field. You get real experience practicing on equipment you’ll actually be encountering in your job and access to dedicated labs and workspaces. Community colleges may not always provide the same specialized training facilities as technical schools because they must spread their resources across several different programs. It’s not uncommon to work while in school. Some students have family obligations or are transitioning from another career or the military. Fortunately, many trade schools offer day and evening classes with flexible scheduling options for working students. If you desire to learn a trade, you could help close America’s skills gap. Currently, the country has 5.6 million job openings, and many of these positions are for workers with skills that can be learned in technical school. 6 One reason for the skilled labor shortage is there isn’t a younger, skilled trade workforce to take over jobs as older ones are retiring. Yet, the country will always need trained skilled workers in industries such as HVAC/R and electrical. Perhaps the greatest benefit of trade school is the value it can offer. The goal of trade school is to prepare you for a specific career—with no wasted time on unnecessary classes. Technical training is designed to focus your skills so you can be prepared to enter the fields. In vocational training, you can obtain a post-secondary education in under two years, and fewer years in school means you can enter the work force faster and start earning money faster than university and community college counterparts.